So much yarn, so little time. 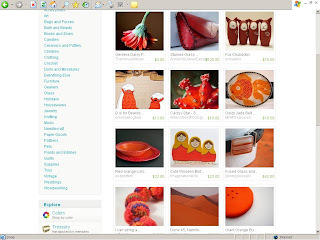 : YAY for Etsy Front Page!!! My item (in case you can't read teenytiny print) is bottom left. It's a close-up view of a necklace I made by knitting beads. I called it I can string a rainbow! Wow, that necklace sure does look good on the front page!! Congratulations!! Great job, looks brilliant in that treasury! Congrats nifty! Hope the sales come in too!